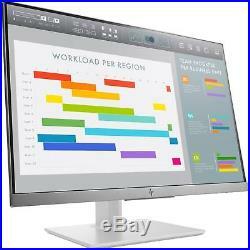 New HP 23.8 (Head Only) EliteDisplay E243i 1920x1080 VGA/DP/HDMI 100mm VESA. EliteDisplay E243i Widescreen LCD Monitor - No Stand. USB Cable (Type A male to Type B male). HP 23.8 (Head Only) EliteDisplay E243i 1920x1080 VGA/DP/HDMI 100mm VESA.